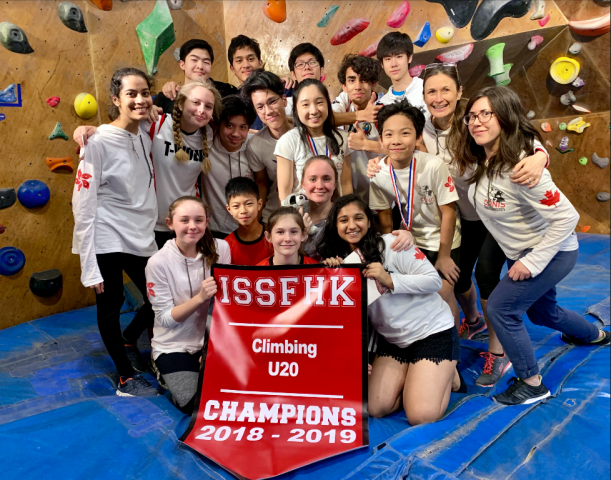 Congratulations to the first ever CDNIS Rock Climbing Team for a widely successful season. After 3 rounds of ISSFHK competitions, the U20 team placed FIRST and the U14 team came home with a THIRD place finish! Special shout out goes to Joyce Chang and Kelson Lam for be awarded the TOP climbers in their categories. Thanks, also, to Joyce and Marcus Koh for leading the team as our fearless co-captains.